Click item for full specifications. 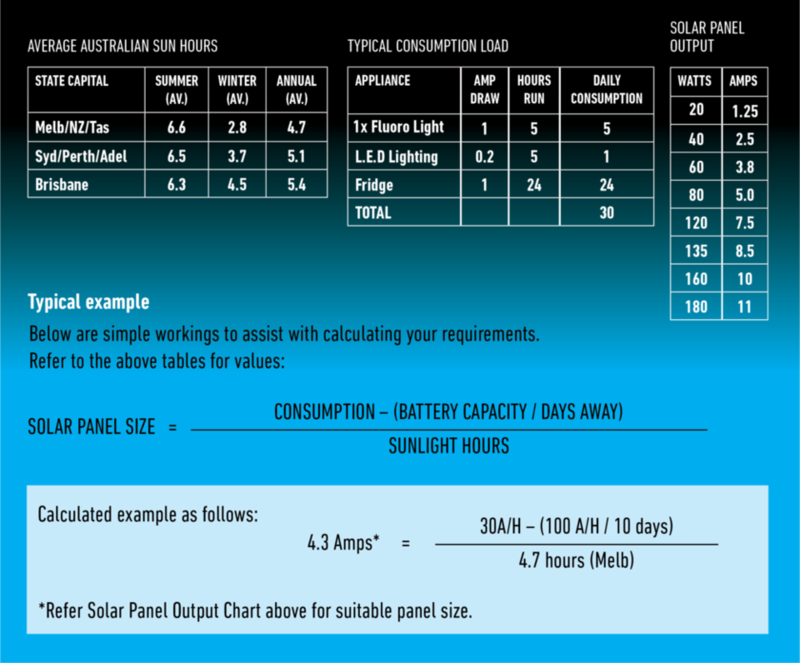 Solar panels can be utillised to extend battery run time when powering multiple accessories. A number of factors that can influence this include: the time of year, weather conditions, battery capacity and how long you run your appliances. Below is a guide to help you select the correct size panel.